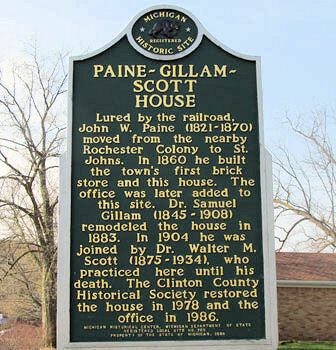 Paine-Gillam-Scott Museum’s main exhibit for the 2013 season highlights Clubs and Organizations of Clinton County. What organizations were active in Clinton County over the last 150 years? Was your ancestor involved? Come view “Celebrating Clinton County Clubs and Organizations” which spotlights groups from the 1800s to those still active today. Plan your trip to the museum on Wednesdays from 2-7pm or Sundays from 1-4pm. If you are interested in a group tour or need further information, please contact the museum.